​PUBG Suicide Squad skins are coming to PUBG PlayStation 4 for a limited time, developer PUBG Corp announced Thursday. The skins, which ​were announced in November for the other PLAYERUNKNOWN'S BATTLEGROUNDS platforms, will be available from now until 3 a.m. ET March 7.Joker and Harley Quinn skins will be available for all players during that time. "Put a smile on your face and rev up your Harley, because officially licensed skins from DC Comics have just dropped into PUBG! 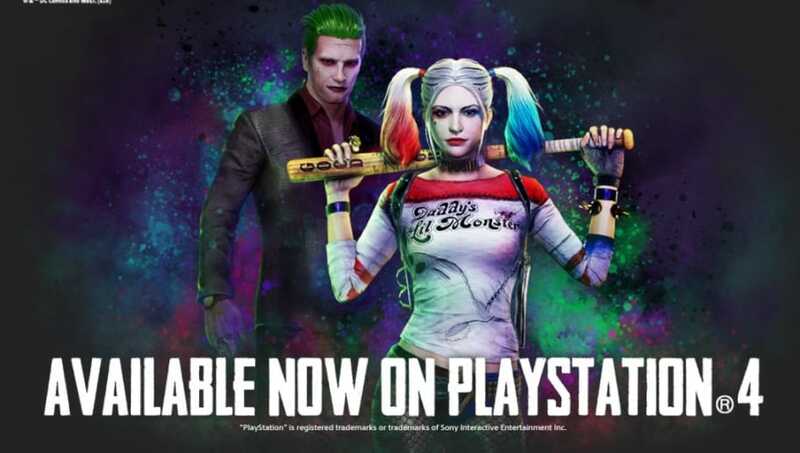 For a limited time, you can pick up the costumes worn by The Joker and Harley Quinn in DC Comics’ feature film Suicide Squad," PUBG Corp wrote. The skins cost $25 when they were released in the November platforms, but PUBG Corp did not indicate in Thursday's announcement how much the skins would cost for PS4. The skins were wildly popular in the first release. The PUBG trailer showcases Harley Quinn and Joker, portrayed by Margot Robbie and Jared Leto in the movie, as in-game cosmetics. Set in a prison, giving off the vibe of the prison escape scene from the movie, the trailer ends with a sniper having Harley Quinn and the Joker in its sights. The initial skins were released after a trailer in October, but this edition appears to be a surprise. Photos courtesy of PUBG Corp.